Windows Defender Download And How To Turn On Windows Defender? 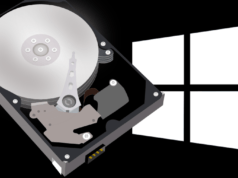 Short Bytes: Windows defender is the default antivirus for Windows 10. Know about its different features like Update, History, Scan options, Scan settings, Exclusions etc. These Windows Defender settings will help you customize this antivirus more according to your need. 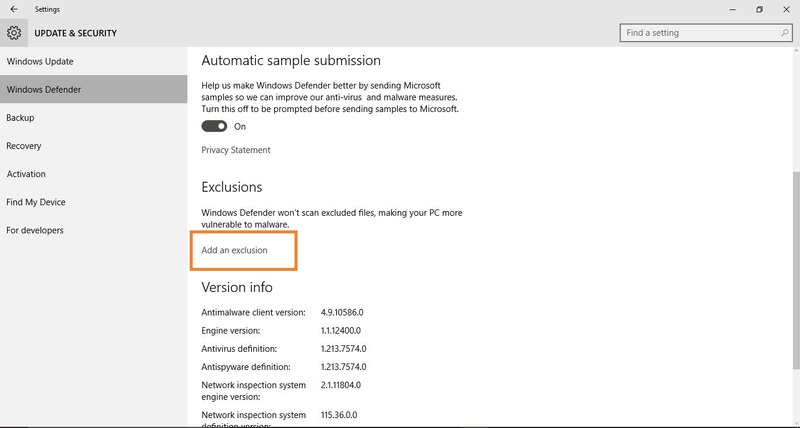 Windows 10 has already a built-in real-time antivirus named Windows Defender. It automatically runs in the background, ensuring all Windows users have a baseline level of antivirus protection. Windows 7, which always complained to install antivirus, Windows 10 does not do the same. If you are still interested in other Antivirus, you can take a look at a list of free antivirus for Windows 10 for 2016. 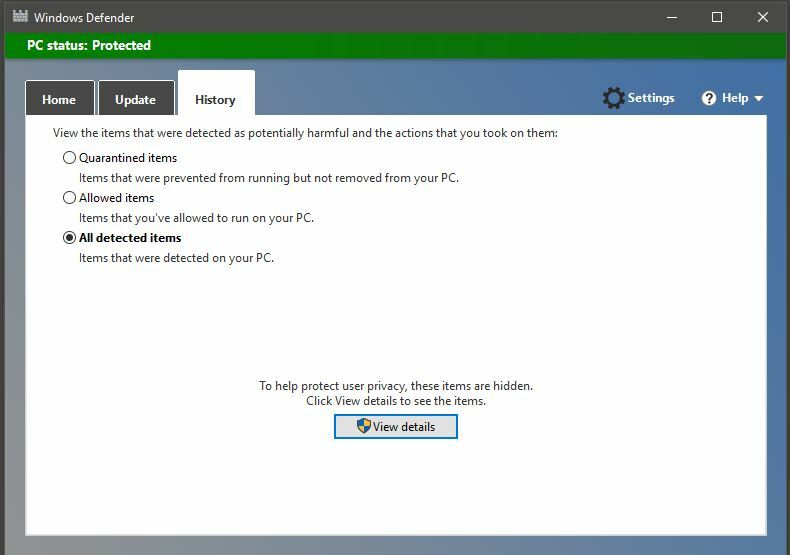 How To Turn On Windows Defender? 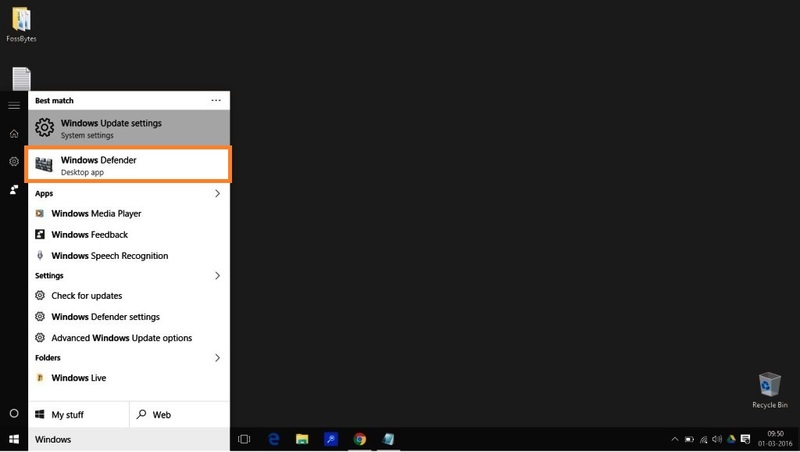 Search for Windows Defender on Search bar on Windows 10 Taskbar. Once it appears in the search result, click on it. 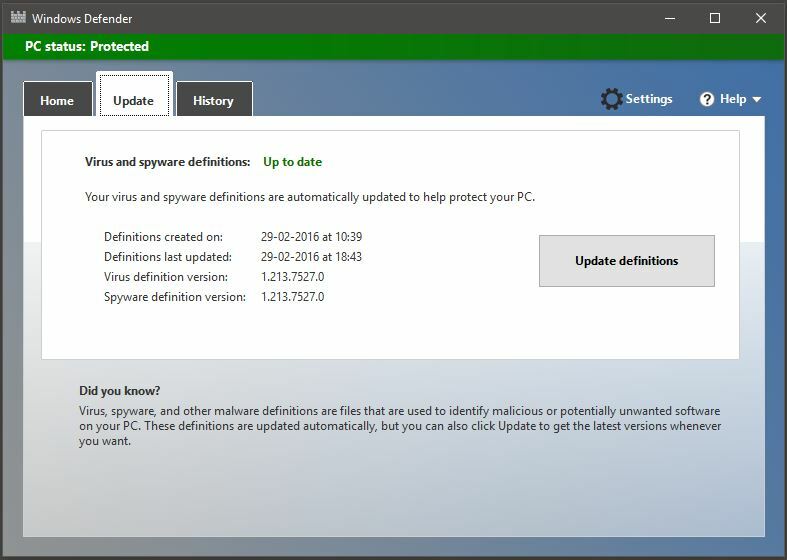 Once the Windows defender app opens up, click on the ‘Update’ and under the Update tab, you will see ‘Update definitions’. 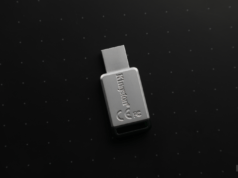 This will update the latest definitions of virus and spyware from Microsoft. Under the History tab, you can look for the details of Detected items, allowed items and Quarantined items. 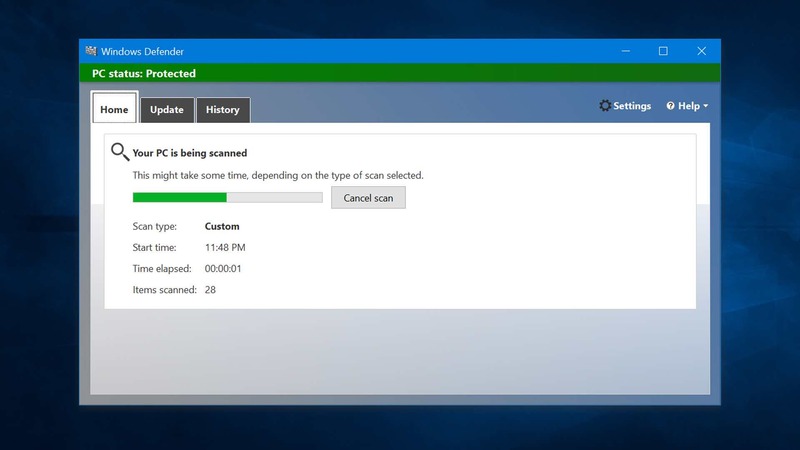 Select ‘Custom‘ under Scan options in Windows defender. And click on Scan now. 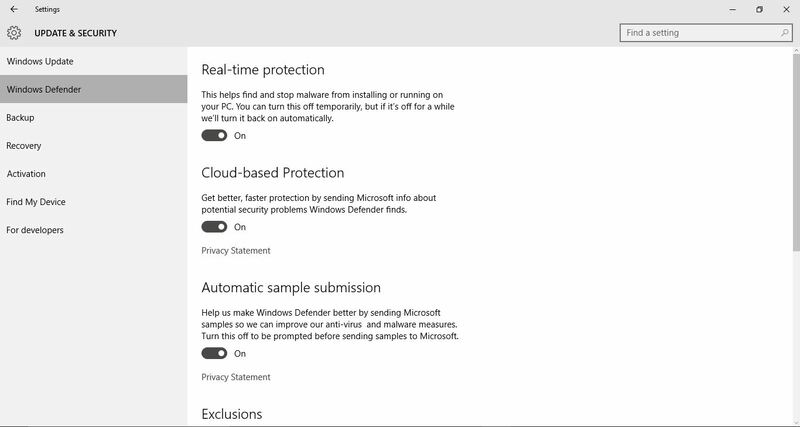 Under the Windows defender Settings, you can manage many other settings of this antivirus for Windows 10 like Real-time protection, Cloud-based protection, Automatic sample submission etc. 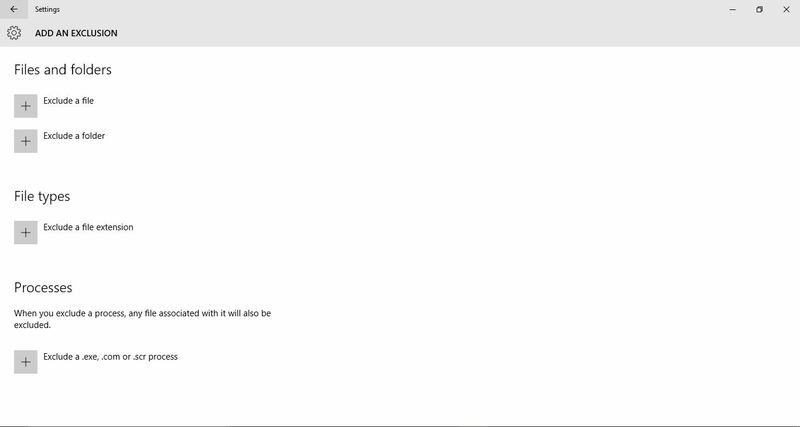 Click on the Settings on the right-hand top corner in the Windows Defender. 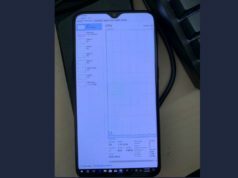 As you can see in the picture above, the options like Real-time Protection, Cloud-Based protection, Automatic sample submission etc. Turn on these features if you think you need them. After you turn on these features, go on the Windows update on the left tabbed Windows at the left corner tab and click that. 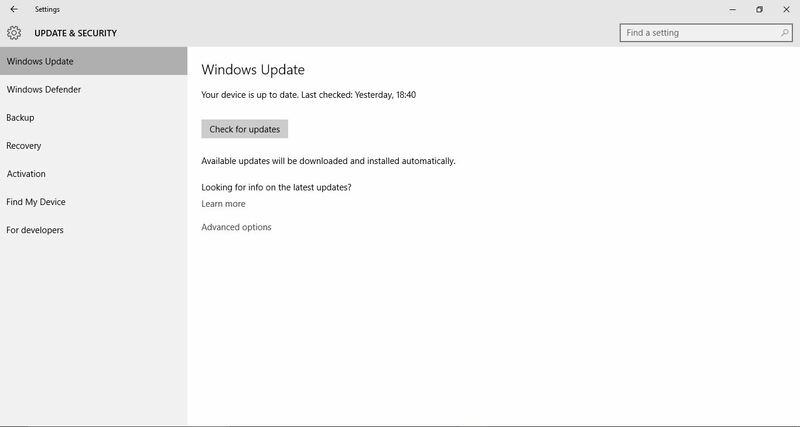 If your Windows 10 is up to date, it will show a message corresponding to the same, else you will see a list of the files for Windows 10 update. 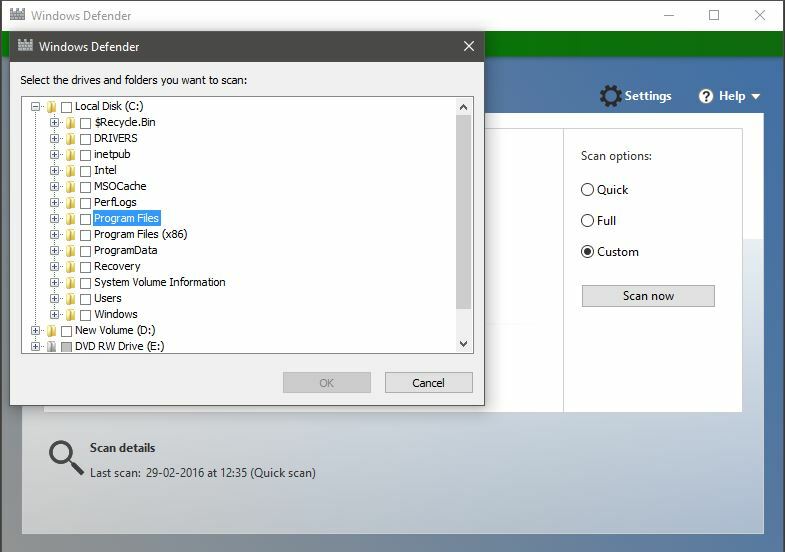 In those files, you look out for any particular file related to Windows Defender and update your Windows. Once you click, ‘Add an exclusion’, you will see various options to exclude a file, folder, file extension and processes. If you want to utilise these options, you can add different exclusions here. And now you are done and good to go. Also Read: 10 Best Free VPN Services Of 2016: Which One Shall I Choose?